WordPress is among the most popular platforms for websites and blogs, globally. Millions of sites are created using WordPress every year. 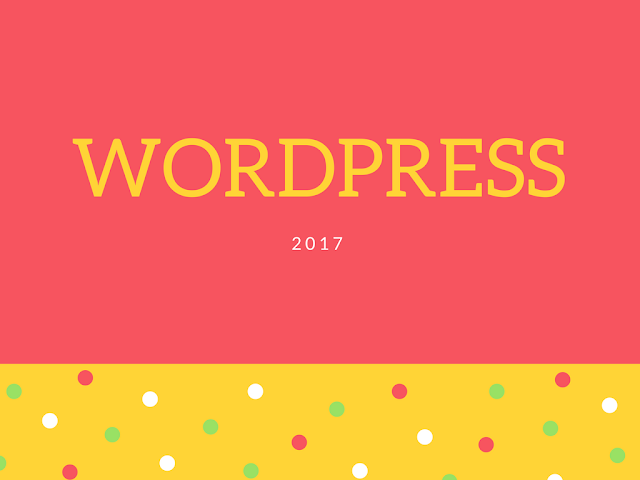 With each passing year since its release, WordPress upgraded, added features and created exciting new developments for WordPress site owners. 2017 is a landmark year for WordPress development. So far in 2017 WordPress has released new features and upgrades that give even more power and control to developers and designers. Read ahead to find out which new features and developments have been added in 2017, and what's to come later in the year. New developments regarding the security of your website and control panel have been added for all 2017 releases of WordPress. The most important security development for 2017 has been an updating of the multi-site activation key system. The previous system was found to have weak cryptography, and now all multi-site logins will be more secure and transmitted with better encryption. In order to keep your WordPress site safe and secure, you should get a secure WordPress hosting plan from a reputable host, and maintain all WordPress system updates. Other security updates released in 2017 include added security for uploading Flash files, and fixes to the REST API that WordPress uses for displaying blog posts. One new development that all WordPress users will appreciate is a major update to the WordPress post editor. The standard WYSIWYG HTML editor now includes an enhanced visual editor to make things easier for those not familiar with HTML. The editor has also been updated to be more compatible with the popular Google Chrome browser, much to the relief of Chrome users with WordPress Hosting. In 2017 WordPress released a new TINYMCE editor for users who wish to manually modify HTML or make blog posts from the site's administrator control panel. This editor allows you to more easily edit in-line controls, add media and perform other tasks with a handy navigation menu. Another security update WordPress developed for 2017 is the closure of an SQL injection vulnerability that was theorized to have enabled malicious users to modify WordPress themes from the search fields on the frontend. These security releases have made WordPress a much safer blogging platform than it was in previous years. WordPress added and enhanced several widgets in their 2017 development releases. The most prominent of these is the upgraded News widget that keeps site owners informed of upcoming releases and events. Check the scrolling news widget on WordPress 4.8 Beta and higher to stay in the loop regarding all new WordPress developments. Other new developments for WordPress widgets in 2017 include the addition of media widgets for website and blog owners. These allow you to install and display images and videos on your frontend with a single click. They also simplify the process of moving media around on your site. A text widget has also been developed for WordPress 4.8 to allow visual editing of any text content on your blog. Since these widgets are in a beta stage right now, you can expect upgrades to them and more widgets to follow for future 2017 releases. WordPress has developed a new program for finding and reporting bugs in their CMS software in 2017. This program is called the HackerOne Platform and allows you to easily report any bugs you may come across while using WordPress as a site owner or user. So-called 'Bug Bounties' have been put in place to pay WordPress users for any bugs found in their programming. If you locate a bug, security vulnerability, or another fault in the coding of the WordPress CMS you can cash in by being the first person to report it to the HackerOne team. This extra incentive should translate to fewer bugs and a more secure platform for every WordPress site. Even though the release is brand new as of Spring 2017, WordPress has already paid out almost $4000 for bugs found by independent users. New plugins have been developed by WordPress developers, fresh for 2017. Among these new additions are plugins for easier content editing, automating administrative tasks, and plugins that offer users more reaction choices for posts. The ShortCake Plugin is a great new way to more efficiently utilize administrative task shortcuts, while the Frontend Editor lets users more easily edit content from their site's frontend. Many WordPress users are excited about the development of a Reactions plugin for 2017 that allows users to react to posts with several different emojis, much in the spirit of Facebook's new expanded reaction bar. WordPress is a growing, living CMS with millions of users worldwide. The high demand for constant updates and new features keeps WordPress up to date and dynamic. The new developments for 2017 will benefit any WordPress site or blog owner. New features, an improved editor, and additional security updates are among the best new developments for WordPress in 2017.